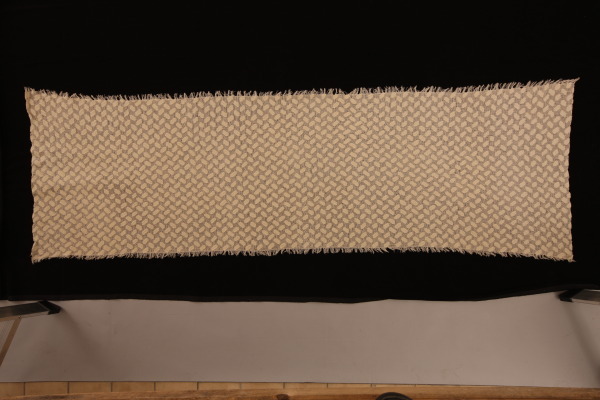 Woven linen, cotton and lambswool, revealing the internal structure exposed by Devore paste. 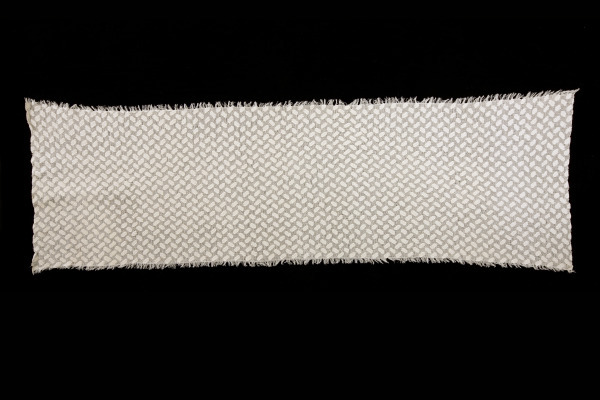 Woven Cloth specially designed to exhibit interesting internal structure exposed by Devore paste, an etching chemical which eats only certain parts of the fabric construction. 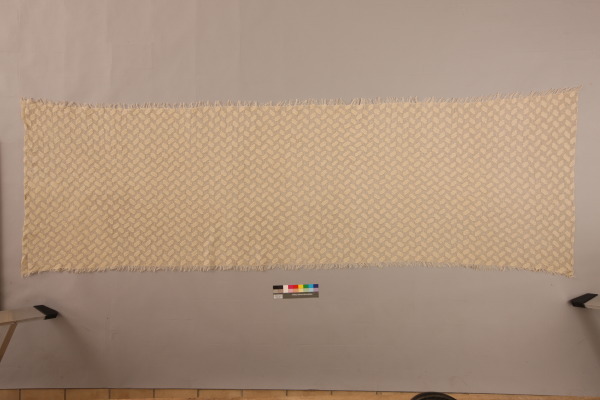 Brick Linen, Gillian Little, 1993, Crafts Council Collecton: T141. Photo: Heini Schneebeli.